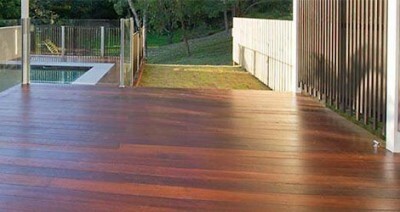 Timber floors are a great investment for Brisbane property owners. They’re in demand on the property market for home buyers and renters alike, and they’re as sought after in older properties as they are in new ones. They look elegant, they add value to the property, and they’re good for the environment. But as with all floor coverings, timber floors have to be properly taken care of if they’re going to look great for the long haul. Fortunately, it’s not too difficult to keep your timber floors luxuriously smooth and shiny—by following just a few guidelines, the pride and joy of your home can last a lifetime. You might already be convinced that timber floors are a good choice: they add financial value to your property, and immeasurably increase its attractiveness. But if you’re thinking about replacing your timber floors or installing them for the first time, there are a few things to consider that will help you get the best value from your investment. Whether your focus is on design and aesthetics, environmental sustainability, or future maintenance expenses, you’re likely to find what you’re looking for in timber floors. Generally speaking, you can’t go wrong with responsibly sourced high-quality timber. If you’re like many other Queensland homeowners looking at your aging flooring, you might be considering whether it’s worthwhile having timber floors. This is most likely to be the case if you're looking at the stains and worn spots in your carpet, and considering whether it's worth the effort to replace them. But if you already have timber floors and they're looking a bit lacklustre, you're probably wondering the same thing. The answer in both situations is the same: timber floors are definitely worthwhile. But there's more than one re ason why, and with just a bit of attention, you'll be falling in love with yours all over again.